del Lago Golf Club serves as the centerpiece of Rancho del Lago, a master-planned community located about 20 minutes from downtown Tucson just off Interstate 10, exit 279. The natural beauty of del Lago has been preserved and is greatly appreciated by the Vail/Tucson community. A high desert course that rests at an elevation of 3,315 feet – normally five degrees cooler than Tucson during the summer. 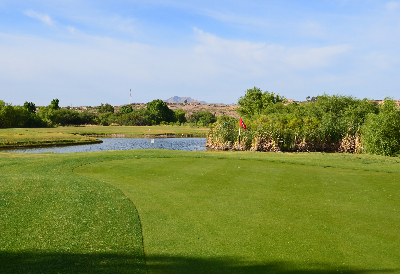 del Lago Golf Club serves as the centerpiece of Rancho del Lago, a master-planned community located about 20 minutes from downtown Tucson just off Interstate 10, exit 279. del Lago invites all golfers to come and play the golf course, built by Nugent Golf Associates, the same firm that produced the Tour stop Kemper Lakes. In March 2019, the del Lago family welcomed the long awaited, The First Tee program. Please log on to thefirstteetucson.org to register your child.